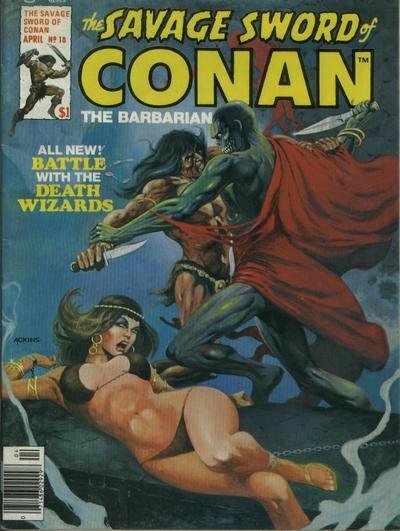 Click Here To See Savage Sword of Conan #18 Magazine! 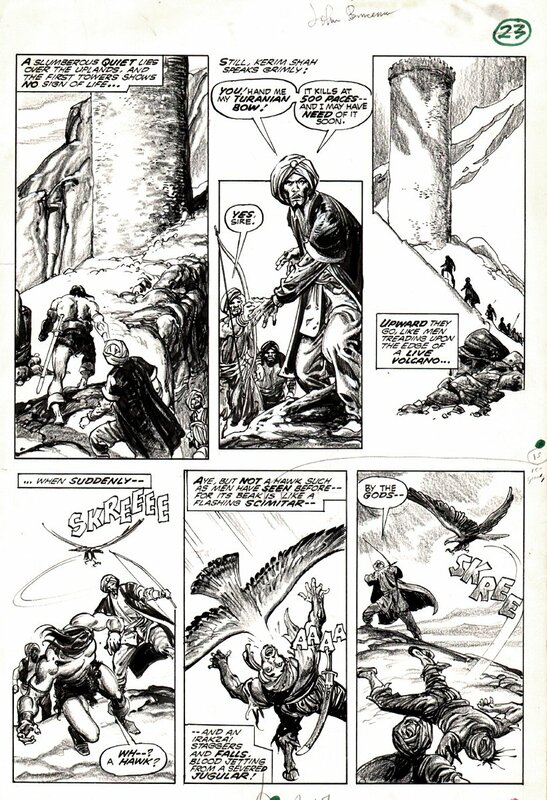 Check out this This nice 1977 wash tone page which was drawn by the GREAT art team of John Buscema and Alfredo Alcala from the Savage Sword of Conan story titled: "The Castle of the Wizards!" This nice wash tone page features Conan and Kerim Shah watching as a man gets killed by a giant hawk! Neat Page!